Art Hostel Nis i Nis, Serbia: Bestill nå! 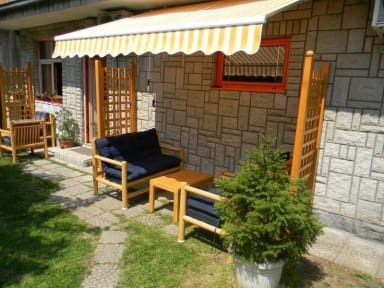 Art Hostel is newly opened in the center of Nis in a pleasant and peaceful place. Art Hostel is located at 23a Hajduk Veljkos in the city center and just a short walk from the Square of King Milan (from the monument to the rider). Art Hostel offers you a comfortable and pleasant accommodation in one of eight comfortable beds, arranged in a four and two double bedrooms. The bathroom is shared, as well as the kitchen. 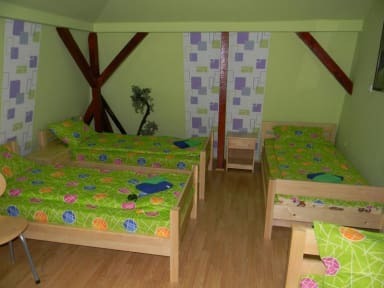 All the guests of the hostel are provided with parking, and there is also a computer with non-stop Internet acceess! Pleasant ambience and comfortable atmosphere!